All the units have been sewn. I really like the gray & red spikes. 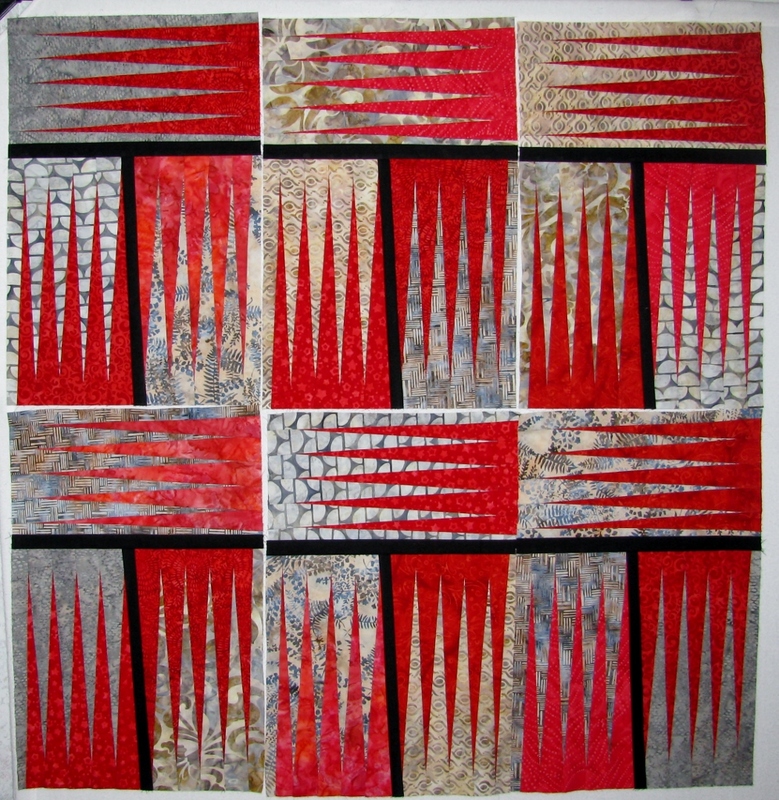 There was very little fabric waste with this pattern and the blocks can be chain-pieced – which is pros in my book. The con is the removal of the paper, but there is no other way to get such great looking spikes. 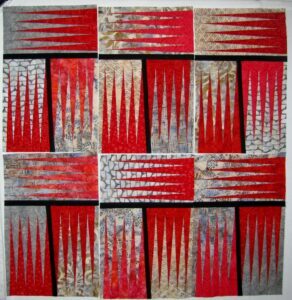 I plan to place black strips between the units, then add a red inner border and a dark gray outer border. After checking in my pattern drawer, I found four more Judy Niemeyer patterns. I thought I only had two, so there will be more paper piecing spikes sometime soon. Looking good, Marlene. I have several JN patterns, but am afraid to try. I think this one I could handle.